Ships Fresh Every Week- Currently in Season!! 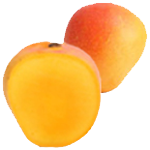 Alphonso mango is known as the King of Mangoes. A Box of Fresh Premium Alphonso mangoes picked from the Top Mango regions of the world. Top Selling, High Demand product- generally sells out!! 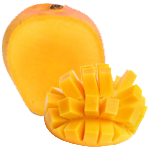 Alphonso mangoes are called the King of Mangoes for their rich flavor, aroma and taste. 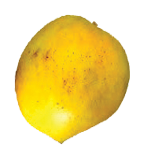 Our Alphonso mangoes come from the Ratnagiri – Devgad region and its surrounding areas. The mangoes grown in Ratnagiri and Devgad are special due to their unique flavor that develops due to the unique soil and climate of the region. These mangoes are also protected by Geographical Indication (GI)- mango grown in this 300 Km belt is sometimes referred to as “King of Kings”. 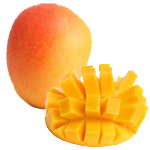 The Alphonso mango is our most popular mango variety. 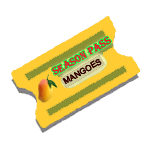 We have been shipping this premium product since 2007, when Indian mangoes were allowed into the USA. We have relationships with Top Alphonso growing orchards in the region. We have also developed an elaborate protocol to handle this super sensitive mango, which when consumed in all its glory can transport you to a different dimension.